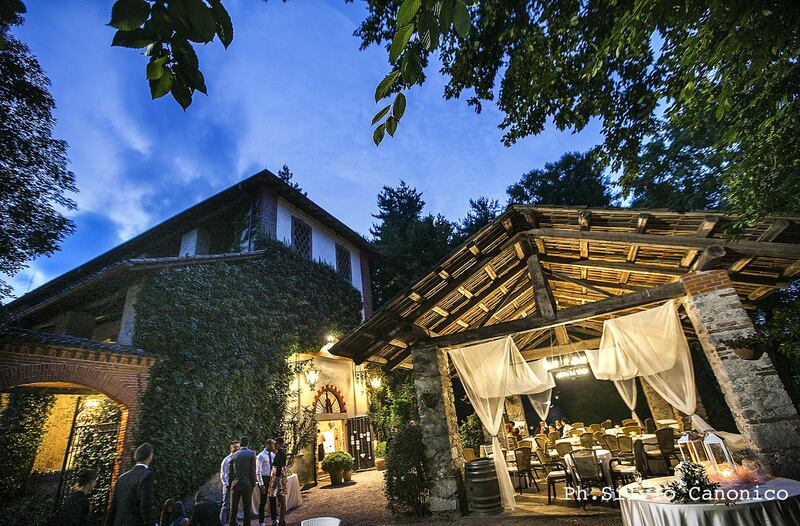 In the middle of a stunning environment, among Novara and Varese provinces, wonderfully nested on the hills of Lago Maggiore, Santo Spirito Abbey (Abbazia di Santo Spirito) – Villa Giannone, is a one-of-a-kind location, capable of meeting any needs: from marriages, birthday parties and anniversaries, to corporate events, conventions and meetings. 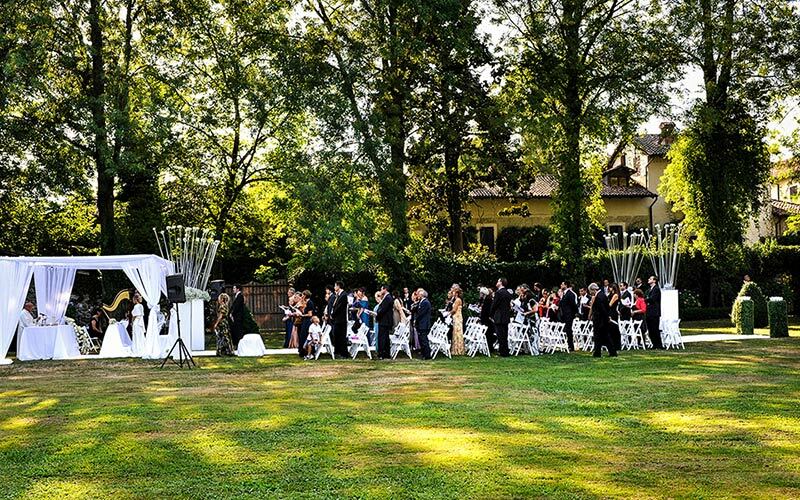 The location is divided in numerous spaces allowing for the perfect organization for your marriage or event, with a guarantee of maximum privacy for you and your guests. 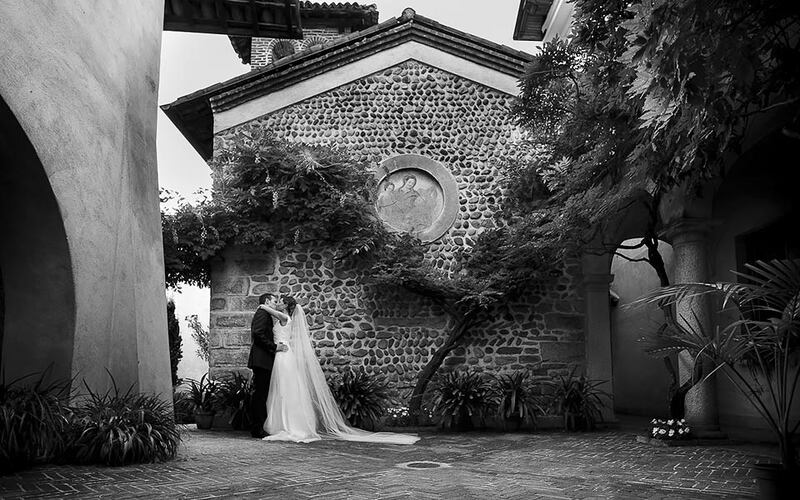 Santo Spirito Abbey offers an ancient and elegant gala hall, a romantic private chapel, a large centuries-old park – perfect for organizing outdoors ceremonies and receptions – in addition to the courtyard and the big porticos, perfect for refreshments or welcome cocktails. 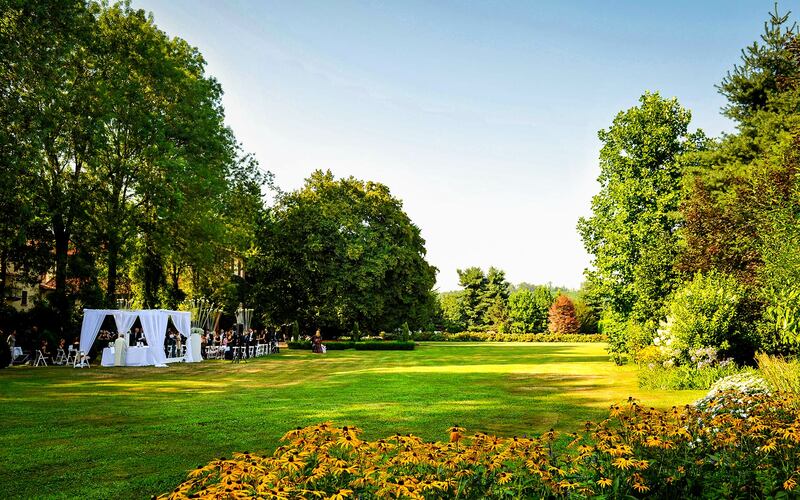 Extended over a surface of over 2 hectars, Santo Spirito Abbey’s wonderful park is perfect to celebrate outdoor marriages – with either civil or symbolic rite – immersed in a spectacular natural setting. 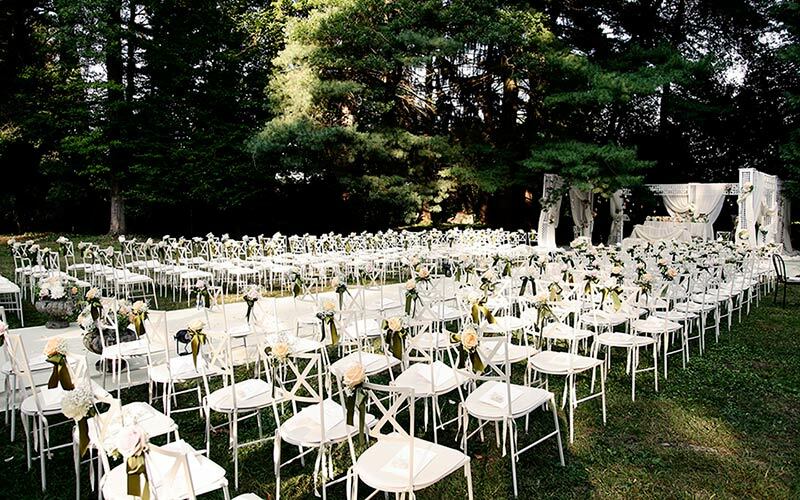 After the ceremony you will be able to start the celebration in absolute comfort. 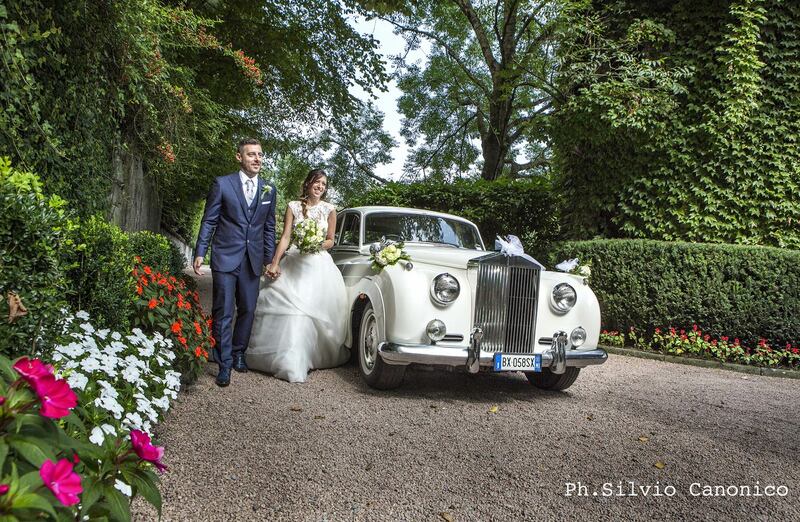 Your guests will be greeted by a rich Welcome Aperitivo, while you have the chance to take pictures in the location’s park. 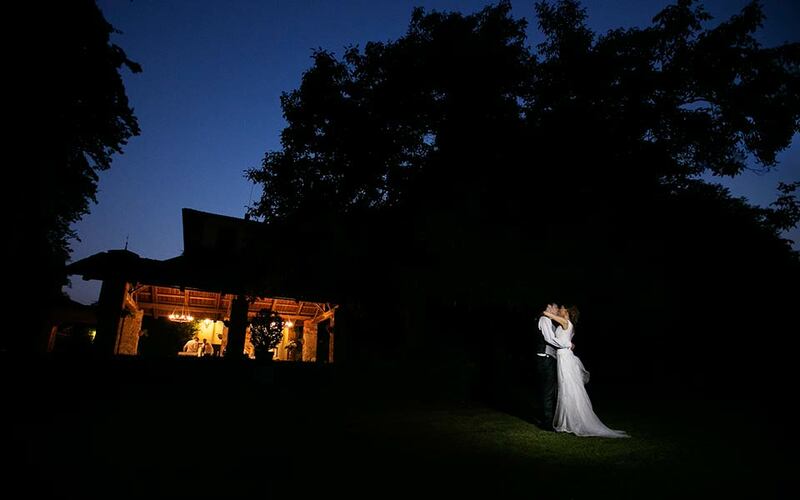 After which, the reception, which can also be organized outdoors, in the shade of large centuries-old trees, or inside the ancient and elegant Reception Hall, complete of red bricks vaulted ceiling. 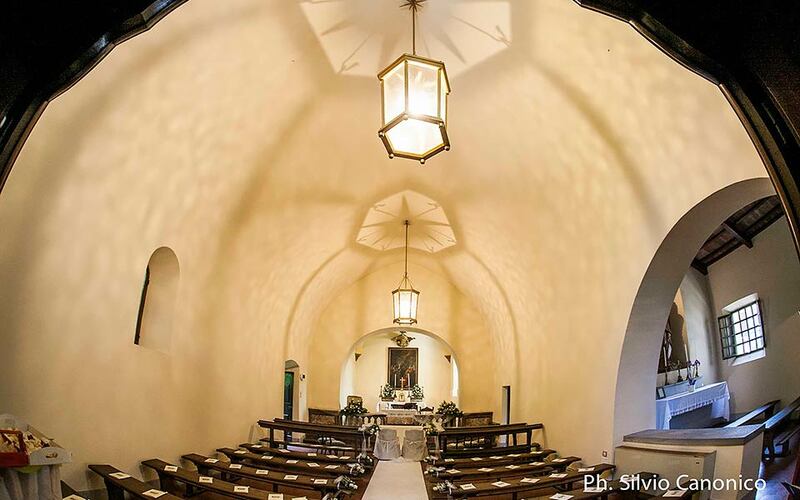 A one of a kind marriage location among all those in Piemonte and Lombardia, the Santo Spirito Abbey features a still-consecrated private chapel, used to celebrate the Holy Mass. The church can accommodate up to 130 people. This ancient roman church, with its harmonious simplicity and the inside of its structure accentuating the church’s mystical nature, fits perfectly with the places and the buildings surrounding it and is overlooked by a typical bell tower and a majestic roman tower dating back to 1282. 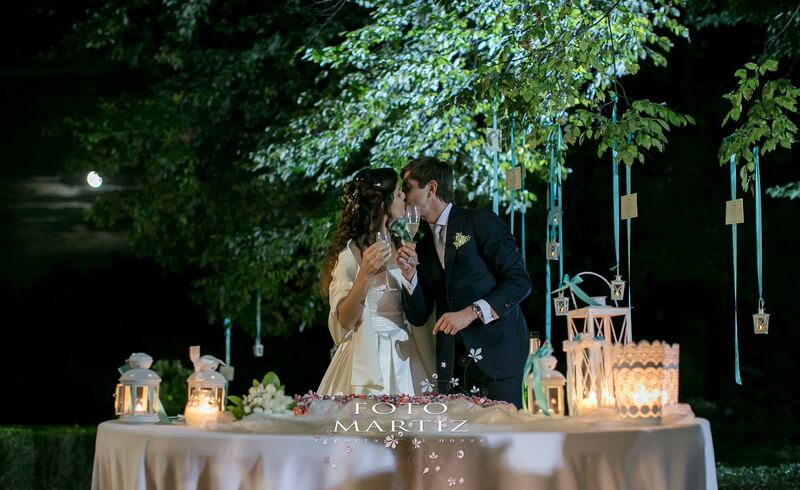 In the private chapel guests will be able to solemnize the marriage in the utmost intimacy in a particularly evocative and romantic setting. 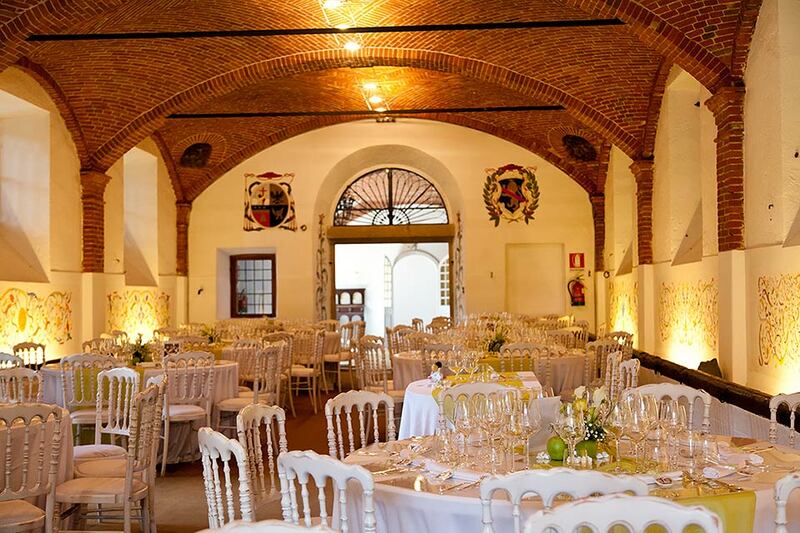 From the park we can directly enter the large reception halls, enriched with a vaulted ceiling of visible bricks, which has been kept in its original state in the ancient Abbey: a real masterpiece of rustic and noble architecture of those times. 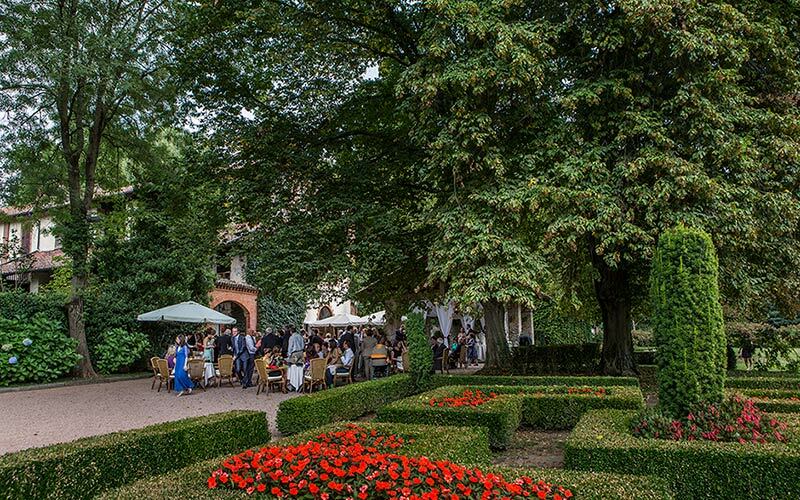 From the park and the reception hall we can gain access to the ancient courtyard, characterized by a suggestive and ample portico, beside a garden surrounded by flowerbeds, especially fit for organizing buffets, banquets, aperitivos, open grills for barbeques and floral compositions. During summer nights, the atmosphere of an elegant and evocative ambient is created, also thanks to a lighting system which accentuates the park and the structure of this prestigious vintage residence. 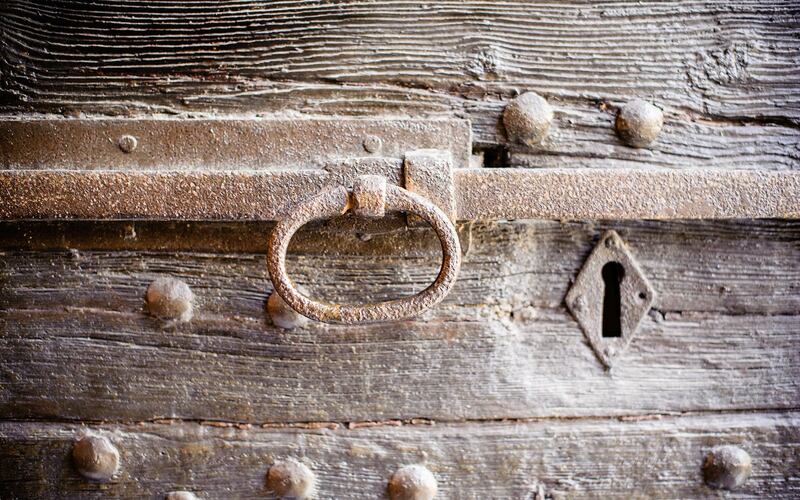 At just 5 minutes from the Castelletto Ticino (A8 Milano – Laghi) highway exit, Santo Spirito Abbey can be easily reached from many major cities, both from Piemonte and Lombardia, such as Milan, Como, Varese, Novara, Vercelli and Turin. 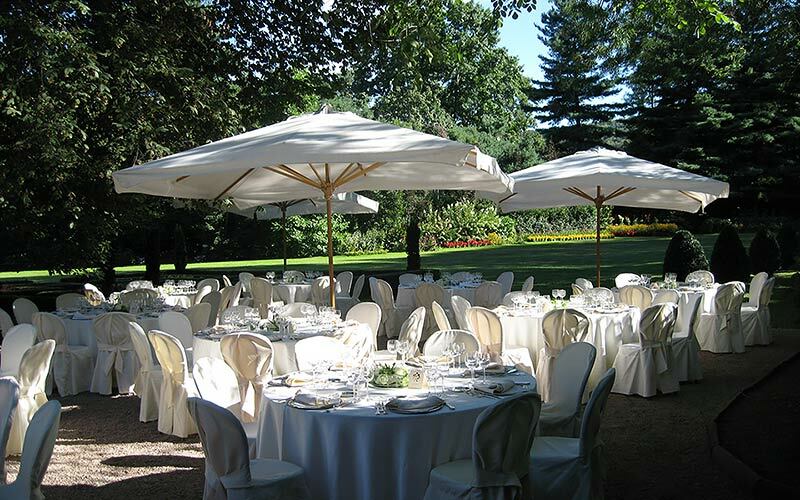 Furthermore, the location is around 20 minutes from Malpensa International Airport. 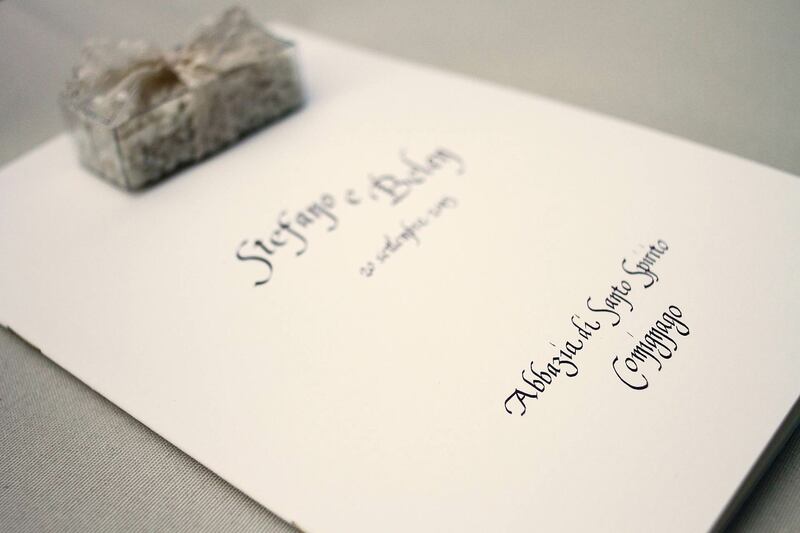 The Abbey’s guest will have a big private parking lot inside the park: easily accessible, the parking lot is delimited by a wonderful hedge of white hydrangea, in order to complement the view for the guests.